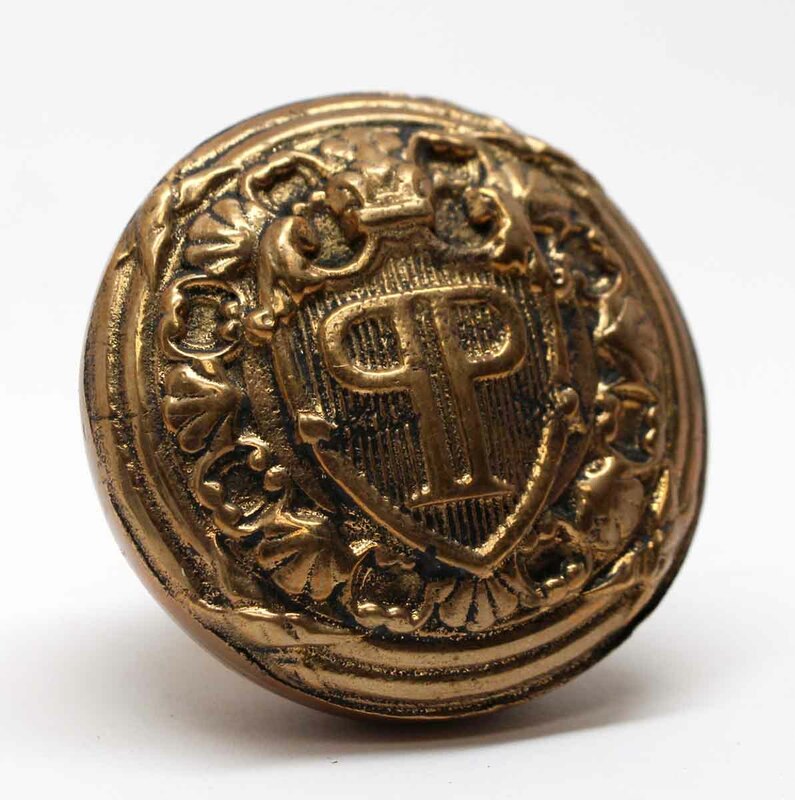 This is a reproduction of the original bronze knobs that were used in the Plaza Hotel in NYC. This is part of the P-47760 group. 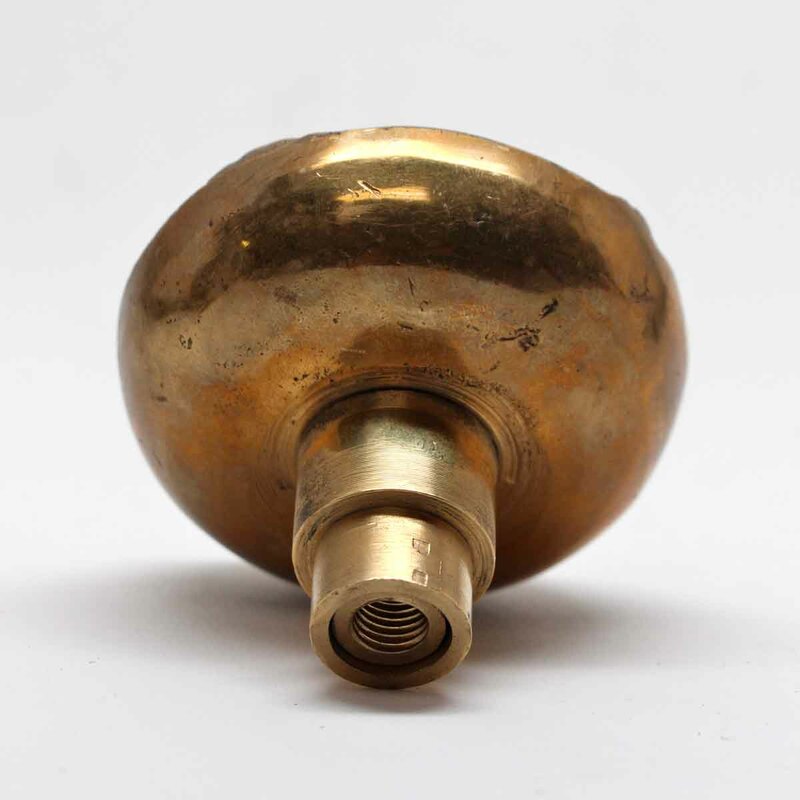 They are made of a solid cast bronze with an antique polished patina. 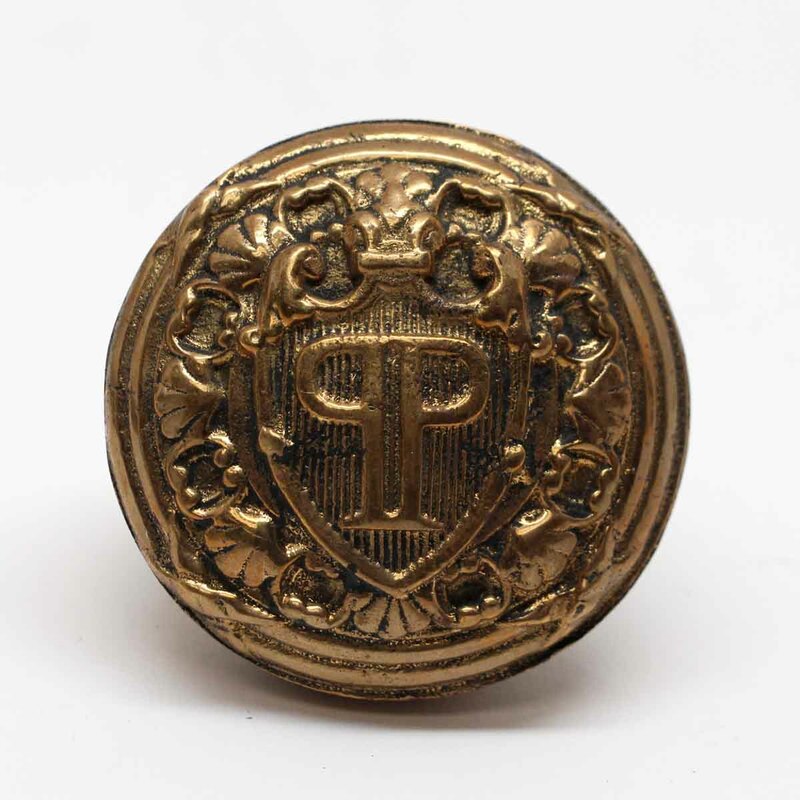 The Plaza emblem is displayed on the face of each knob. The Plaza Hotel closed its doors in 2005 and went under a massive renovation. The Plazas contents were available to the public via a liquidation sale, which is when we acquired their inventory. The Plaza Hotel reopened March 1, 2008. 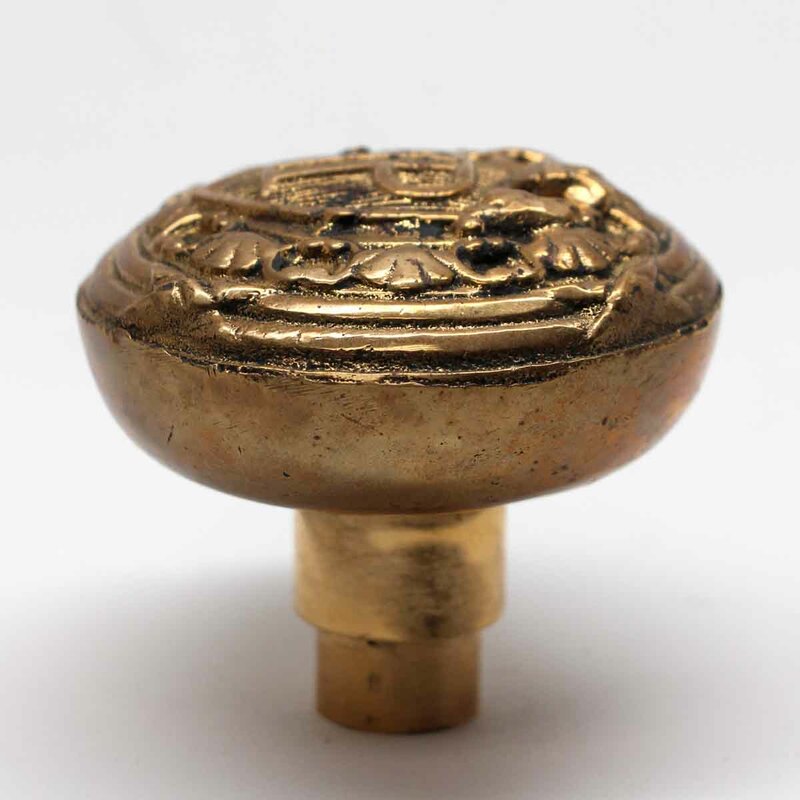 They reproduced knobs for the Plaza and used them on doors that did not have these knobs.